Having read Louise O’Neill’s more recent book Asking For It, I sort of knew what to expect when going into her debut. O’Neill has become well known for her activism regarding women’s issues from her weekly columns at the Irish Examiner, to her outspoken manner online, and of course her books; where she tackles topics most would rather avoid. Only Ever Yours tells the story of a world in which the use of birth control to maintain the “perfect body” has led to women being created rather than born naturally. The girls are put into schools where they are trained to believe that their looks and rankings will dictate their futures. There are three roles available after graduation: companion, concubines and chastities. Of course, everyone wants to be a companion to one of the rich, attractive men – known as Inheritants – who will make their choice at the ceremony. This is not a pleasant read. To describe it as a “brilliant book that everyone should read” (which it is) almost feels like missing the point of the narrative. From the outset that is something unsettling and if you are struggling with weight issues or an eating disorder it is best to wait until you are in a very good place before reading it – which is what I did. There is overwhelming sense that something bad is going to happen if any of the characters step out of line and there were many occasions where I was holding my breath as if that would help the story in some way. I don’t normally pay attention to quotes from other authors on books as those opinions never tend to sway me towards buying a book, but Jeanette Winterson says that “O’Neill writes with a scalpel” and honestly, that could not be more true. I did find the world confusing at first as you’re thrown in the deep end to follow Freida who is in her final year, preparing for the ceremony. The characters around her are the embodiment of everything we would deem wrong from society and their views are amplified throughout, creating a sense of disorientation when you see the extreme lengths some girls will go to in order to keep their rankings up. While pitched as a strong relationship between Freida and Isabel, their friendship is fraught for most of the book as Isabel appears to let herself go and doesn’t get punished for her actions; instead she is simply removed from the rankings. The reason for which sets your mind into the worst possible outcomes for her. The chastities in charge refer to the girls by numbers, but the girls themselves call each other by names which made it difficult to understand the intended purpose: they are stripped of their names but seem to retain them at the same time. An obvious comparison to make is The Handmaid’s Tale by Margaret Attwood because they both deal with government control of women’s bodies, but it’s important to note the very big differences. In Only Ever Yours birth control is seen as a good thing, to stop pregnancy ruining your bodies (meanwhile Handmaid’s sees birth control as a bad thing) and in Handmaid’s there is a sense of hope that things could really change. There is none of that in Only Ever Yours. It is a dark, terrifying insight into what our world could be like if we don’t start tackling important issues. I can only salute Louise O’Neill for her fantastic efforts… even if she does scare me a bit. I’m not really a big sci-fi fan. I’m just going to put that out there. But every so often a book catches my attention and draws me in. Created is one of them. Just look at the utterly breathtaking cover! The story follows twin orphans Kylie and Luke (narrated by Kylie) who live in a world made up of “normals” (humans as we know them) and creations. Kylie and Luke are the latter. They train hard, knowing they need to be prepared for a war and eventually they are taken by force in the night to a training camp: “our government holds a training camp every year for us. It’s practically three months of death. They try to kill us and we fight to stay alive.” The duo find themselves among other creations and are placed into groups. Naturally, Kylie and Luke are made leaders of different groups. As the story develops, Luke and Kylie are told in secret what it is they’re going to be fighting. It’s really hard to review this book without giving away all the twists and turns that make it interesting. Overall, I came out of this reading experience feeling very mixed. I like reading books about siblings that have a strong bond and there’s an emphasis on that: “You were each born in twos. You each will die in twos. This is not every man for himself. You live for your twin and them for you.” It made a nice change from some sibling relationships I’ve read before. It was refreshing seeing them work together as a team. However, this relationship they had became quite unhealthy and kind of creepy the further you delved into their characters. The training sequences felt very similar to the way Dauntless train in Divergent so nothing felt particularly exciting or new. I could deal with this though, because there isn’t any really way you can make hands-on fighting original. What really lost all hope in this book for me was the love triangle. You read that right. Love.Triangle. I hate them with a passion. They just made the arc of the story really tedious and I’m surprised I actually finished reading this book after this development occurred. I understand that the prospect of having affections for another being was new to Kylie but I eye-rolled so many times. I don’t mind if they add something to the story but it felt like this plot device was used to fill up the pages to when the real action happened. When I finished the book I found a chapter entitled “the beginning” which basically explains how everything came to be. This would have been more useful to have at the start of the book to provide some context into what actually makes the creations different to normals before going into the story. I just feel a bit let down by this one. When I see a trailer for a film and learn that it’s based off a book, if I’m interested in the premise, I read the book before seeing it. This was the case with The Maze Runner. However, this series is out of character for me in some elements: I read primarily YA, I love dystopian, but if it’s heavily sci-fi orientated, I tend to be put off by it. But there was something that compelled me to read The Maze Runner. I did and loved it. I watched the film and loved it just as much. But I wasn’t overly interested in reading the next book in the series The Scorch Trials until I discovered that it was being made into a movie. 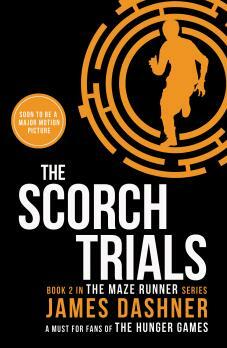 I did a review of the book which can be found here and based off the two, I much preferred The Scorch Trials. 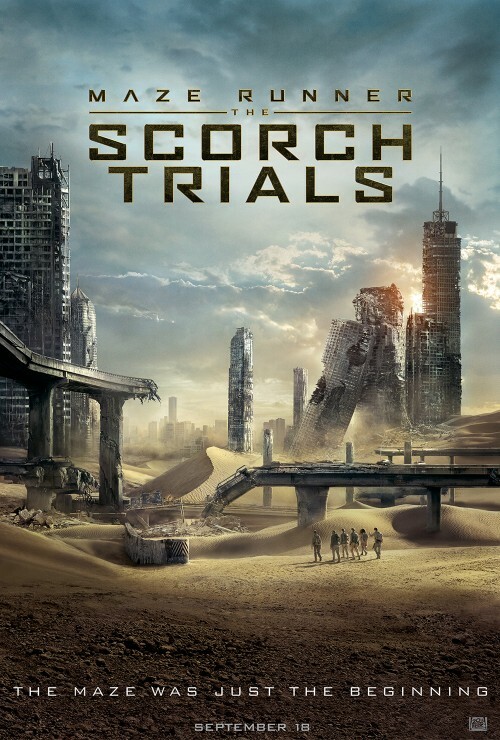 The Scorch Trials movie was one of my most anticipated releases of the year. I went to see the movie and I am so horrifically disappointed. I’ve seen a lot of reviews from fans of the book that seemed to really enjoy the film. This has left me feeling like I went to see a completely different film. Brief overview of the book plot: The book opens after the gladers have been rescued from the Maze. 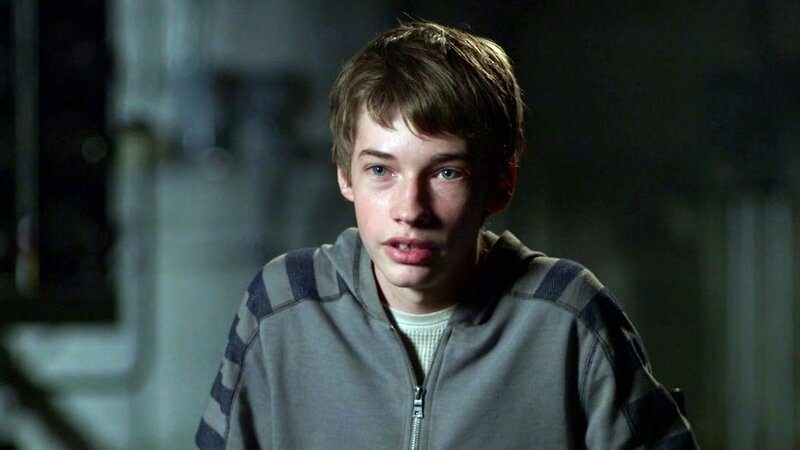 Thomas wakes to find the facility being attacked by cranks (victims of the flare) and they escape to a common room area where they discover their rescuers are death. Along the way they discover a boy named Aris and learn that they weren’t the only Maze and that he is part of Group B, the gladers all have tattooes on their necks which read “Group A” and then a role. Thomas’ reads “Group A – to be killed by group B” They return to the common area to find the bodies of their rescuers are gone and in their place is one of the scientists from WICKED (Jansen) who tells them they have been infected with the Flare and have two weeks to get to the scorch (the outside world), and find a safe haven to get the cure. If they refuse, they will be shot. The plot for the movie however, is completely different. It opens where The Maze Runner left off, with the gladers being rescued. They are taken to a facility where they are introduced to Jansen who tells them they’ve been rescued from WICKED. He shows them around the facility and they learn they weren’t the only maze. Aris meets Thomas after climbing into his dormitory via the vents and tells him he has something to show Thomas. They learn that something is definitely not right and begin investigations through which they learn that Jansen is actually part of WICKED and working for Ava Page. Safe to say, this sends Thomas into panic mode and he hurries back to the dormitory to tell the other gladers. A big action scene ensues where they try to escape as WICKED chase them until they willingly run out into the scorch. Now, I’ve seen enough book-to-movie adaptations over the years to know that sometimes things get cut because they can slow down the pace of the film etc. but to completely change the entire plot arc and character motivations? What on earth were the people making this film thinking? Also, James Dashner was very involved with this movie as the Director kept him up to date on changes and asked his thoughts, so I have no idea how he agreed to these changes. This alone ruined the film for me. The start in the book is gradual. You slowly uncover things and then BAM action. The film’s start was really rushed and it seems like they tried to include action but sacrificed the story in the process. Winston’s death for example, in the book happens when they try to get through a storm. In the movie, he dies when he shoots himself after getting bitten by a crank (thus getting the flare) – note how this is completely irrelevant in the original plot as they have already been infected with the flare – The group is also considerably smaller: The leftover gladers, and Aris are the driving force for this movie. Along with Brenda. Speaking of which, Brenda and Jorge want nothing to do with the gladers in the book when they know they’re from WICKED, Thomas convinces them to help by offering them some of the cure when they get to the safe haven. In the film, when Jorge learns they’re from WICKED he plans to use them to get into the “right arm” – the rebel army. Personally, I just couldn’t get past the plot. The important explanations are missing and this film as a whole just makes the events of The Maze Runner completely irrelevant. The only things I can say I enjoyed were the scene where they hung upside down which took a whole two days to film because they didn’t have stunt doubles and you can only last 3-4 minutes upside down before the blood rushes to your head. 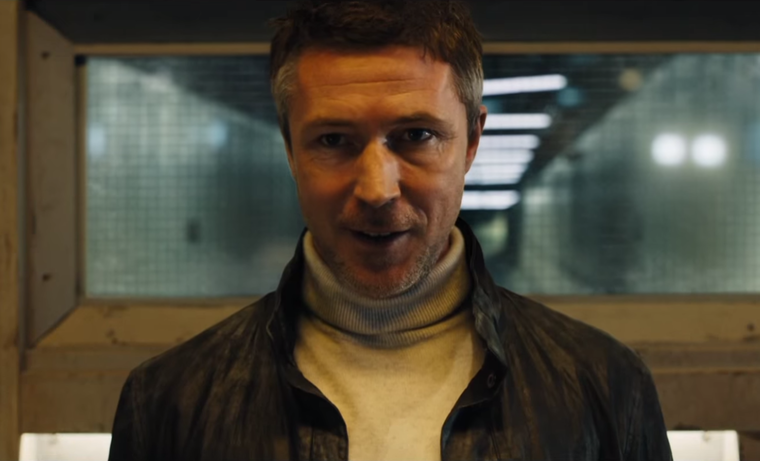 The other was Aidan Gillen. 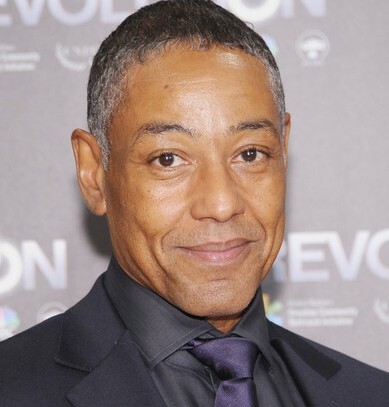 He was perfect in the role of Jansen and had fabulous screen presence and pretty much the only thing that stopped me walking out of the cinema. I haven’t been this annoyed and disappointed at a film in so long that it actually doesn’t make me want to continue the series, and quite frankly I’m just going to pretend they made The Maze Runner and that was it.